Today's Guest Post is from a lady I LOVE. 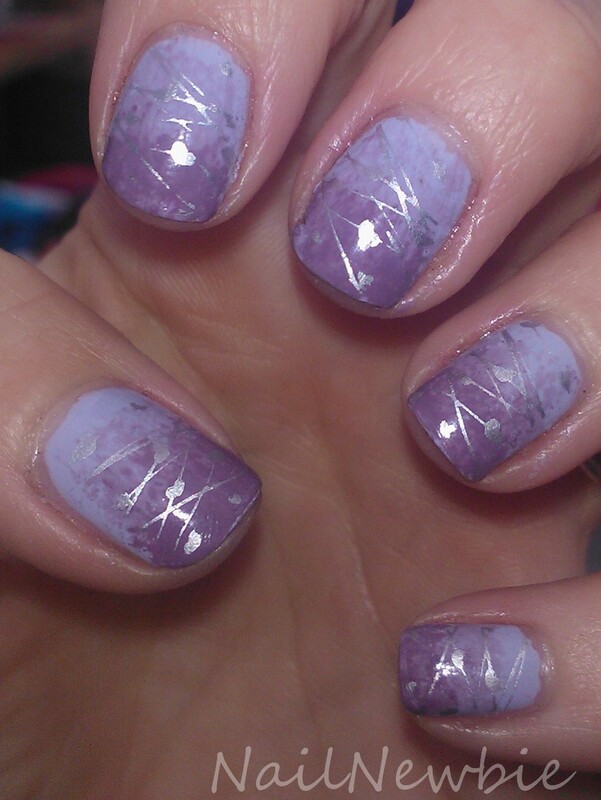 Her name is Helen and her blog is Nail Newbie. She shares my sense of humour and colourful language, and she's one of the few bloggers that can make me guffaw out loud. When Debbie asked me to do a guest post for her Celebration Month I knew there was only one thing I could do. We all know that our favourite Crumpet has a preference for a certain blue/red mix, and quite possibly her collection of purple polish outnumbers my entire stash – and that's no mean feat! 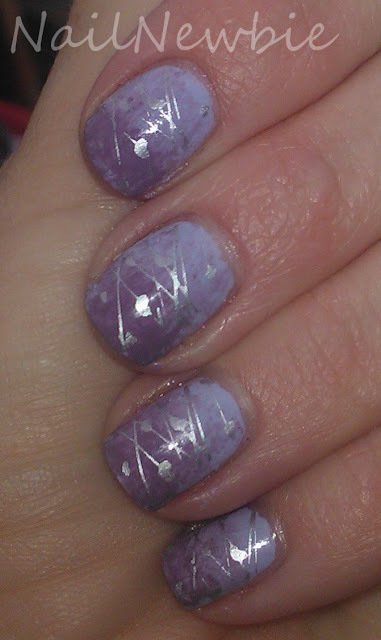 So it had to be purple, and since Debbie is the founder of the epic stamping group on Facebook, it had to have stamping. I decided on a gradient of three of my favourite purples: China Glaze Agent Lavender, Sally Hansen Delphinium and OPI Parlez Vous OPI? They're all slightly dusty and went really well together. 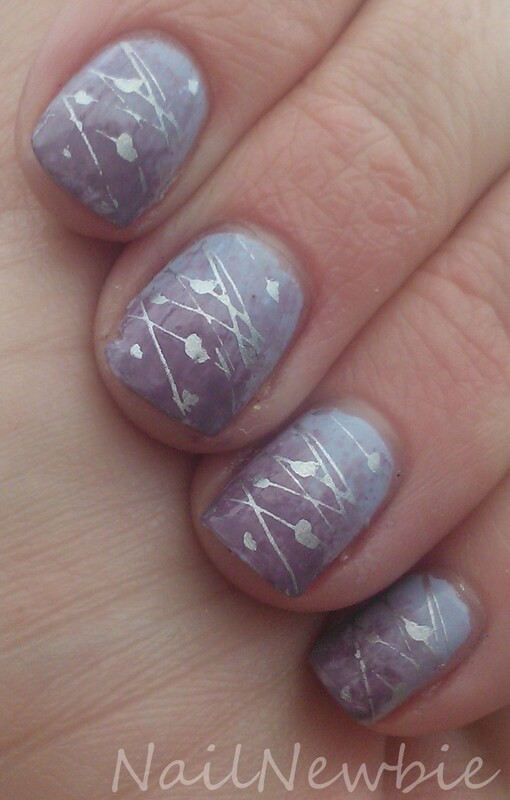 Then I stamped a hearts and lines combo image from the first Bundle Monster set in Barry M Silver Foil. I hope the Crumpet approves! Thank you for letting me hijack your blog Debbie! Due to technical issues (the death of my poor laptop) I'm not blogging as much as I'd like to at the moment, but please pop over and say hi at www.nail-newbie.blogspot.com – I'd love to see you!